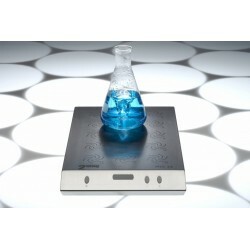 Ultra flat, wear-free magnetic stirrer with 15 stirring positions, suitable for 15 x 250 ml beaker glasses (tall form). 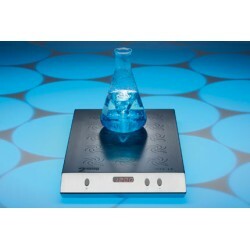 Price-optimized magnetic stirrer with 15 stirring positions, 100% maintenance-free and wear-free by inductive 2mag-Magnetic-Drive concept for powerful mixing of solutions, power reserves up to 1,500 ml per stirring position, speed range from 120 up to 1,200 rpm, 100% synchronized speeds, jerk-free stirring even at low speeds. 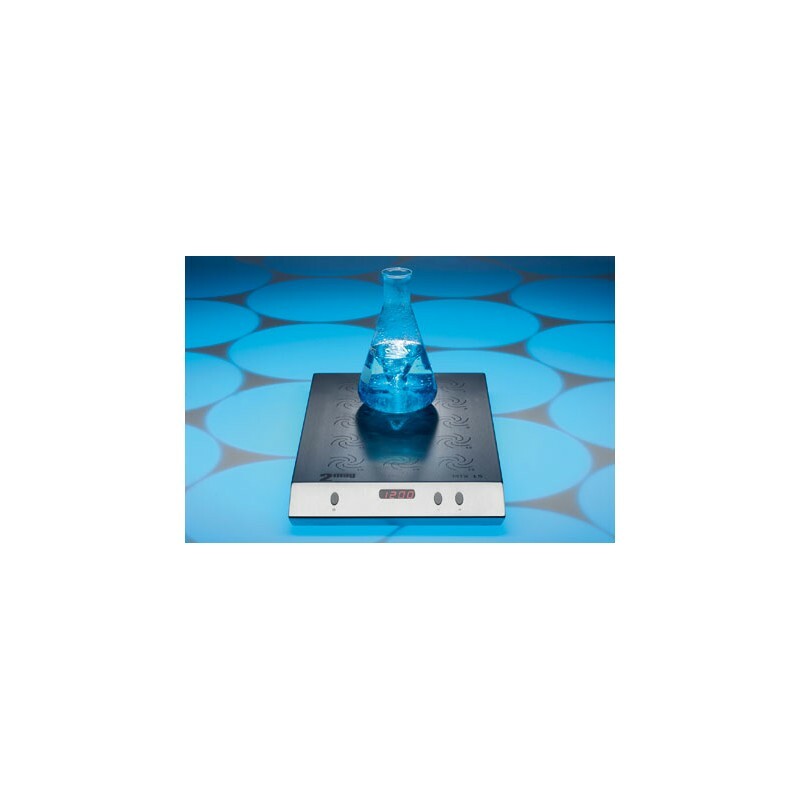 Clear digital display for stirrer speed settings, SoftStart procedure for reliable catching/centering and safe acceleration of the stirring bar. Automatic memory function to save the last settings, outstanding long-life cycle of the hermetically sealed drive system, resistant stainless steel housing for easy and fast cleaning.